CAD Forum - How to print 3D characters designed in Autodesk Character Generator? 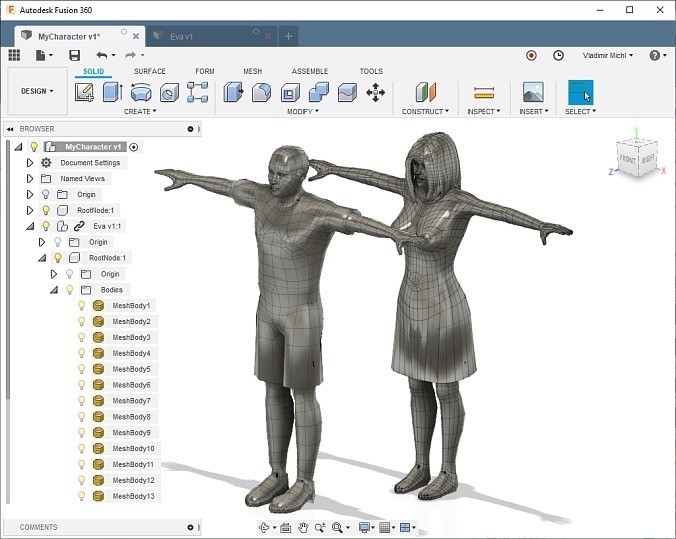 The cloud application Autodesk Character Generator (part of the M&E Collection; formerly Pinocchio) allows to export the designed 3D model of a figure (person) to the .fbx and .mb (for Maya) file formats. The FBX format can be directly imported e.g. 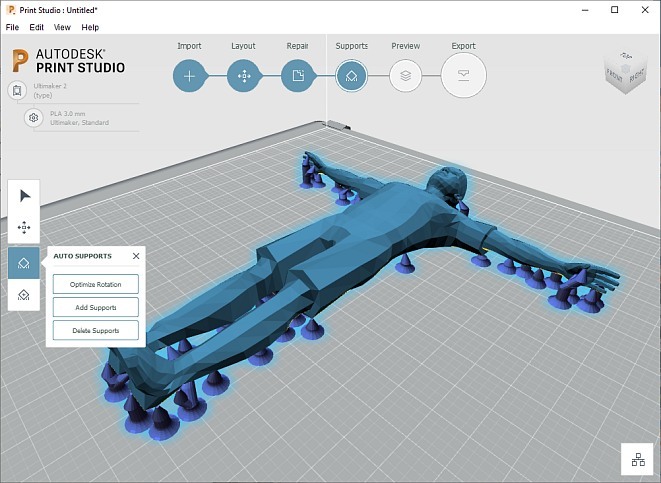 to Autodesk Fusion 360, so you can prepare 3D printing of the figure (e.g. for a desk game) in this CAD/CAM software. First download the generated figure on the tab "Generated Characters". For the export, use any of the FBX sub-formats. Please note that you will need cloud credits for exporting the model in higher resolutions (details) and for creating non-human beasts. Then upload the FBX model to the data panel in Fusion 360 and open it in the Fusion editor. In Fusion 360, you can then directly use 3D print, or you can export the model to the STL or OBJ formats. In the printing utility add the necessary supports and go ahead with printing. The commercial license of the CG models allows also their use for 3D printing. Tip 10592: Cannot generate DWG file from Process Analysis 360. Tip 9240: Populating architectural visualizations and animations with Populate in 3ds Max 2014. Tip 8241: An overview of web addresses (URLs) for Autodesk Cloud services. Selected tip: How to convert a 2D polyline to 3D or vice-versa? SolSimilar - select geometrically similar 3D solids. « | » How to create a custom iProperty or Parameter with iLogic?